Great food makes our tongues happy. 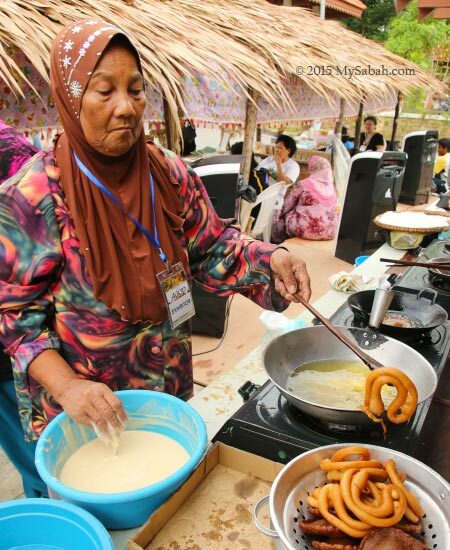 Koling-Koling does that and it also WOWed me when I first saw it in a food exhibition of Sabah Fest 2015 last week. 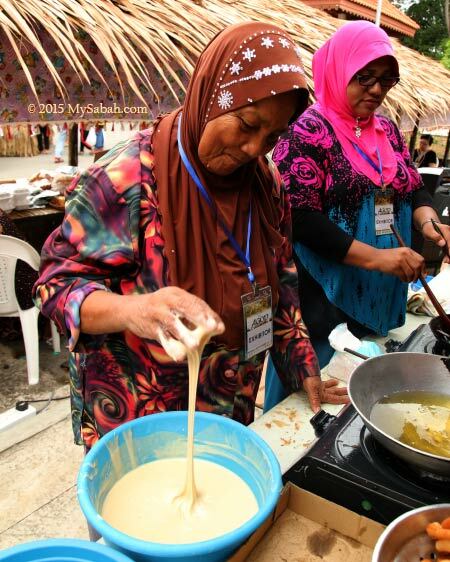 Koling-Koling (or Bangi-Bangi) is a traditional food of Bajau people from Semporna town. At first impression, Koling-Koling may not look so appetizing because it looks like worm, but it’s the interesting shape that piqued my curiosity. I was so eager to see how this curly slim bread was made. 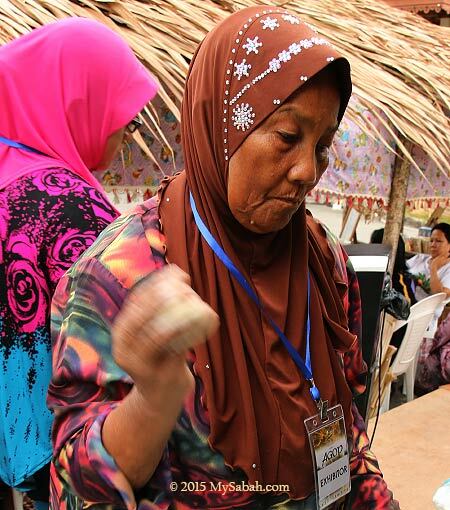 Aunty Badriah Makling, a friendly Bajau elder from Semporna was happy to demonstrate the art of making Koling-Koling (Thank You!). Below is a short video of the process if you prefer video over photos. 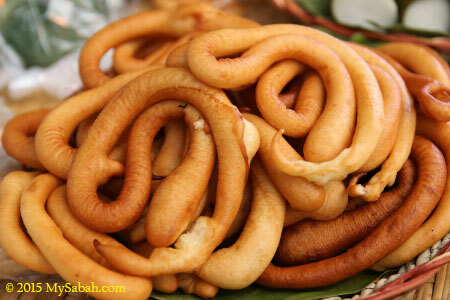 Koling-Koling is usually served during festivals, wedding and banquets. It tastes better while it’s hot, so it is not so commonly sold even in Semporna. 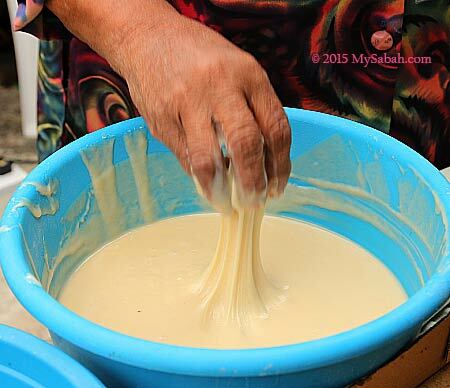 The key ingredients for recipe of Koling-Koling are 1 Kg of rice flour mixed with 4 eggs and a bit of coconut milk, sugar and flour (too much flour will make it bloats like a donut). Stir the mixture until it becomes gooey batter. 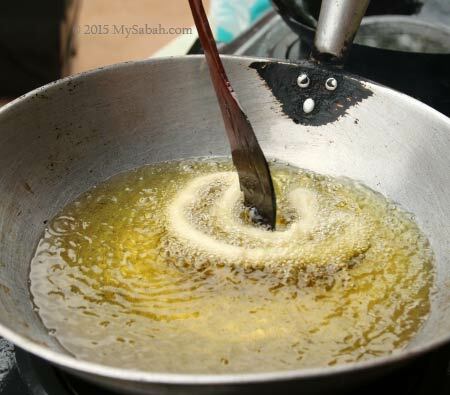 Pic: oil is hot now, getting ready to cook. 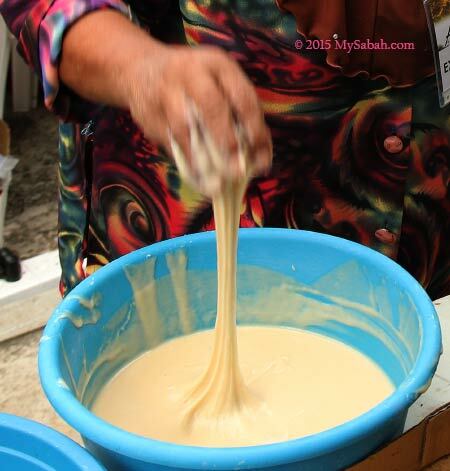 Preparing the batter may be easy to you, the challenging part is the technique to create the right shape of Koling-Koling with bare hand, which requires some practices to perfect. Let’s see how she does it. 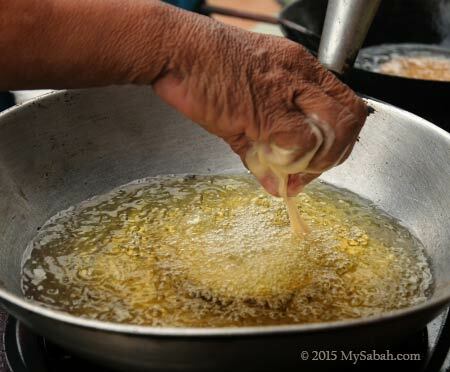 First she grasped and pulled a portion of the sticky batter to the air. Then she quickly grabbed a half-handful of batter from the air and shaked it swiftly to turn it into a small ball in her palm. She was smiling in the photos because I said she was too fast and I had to keep retaking the shots. 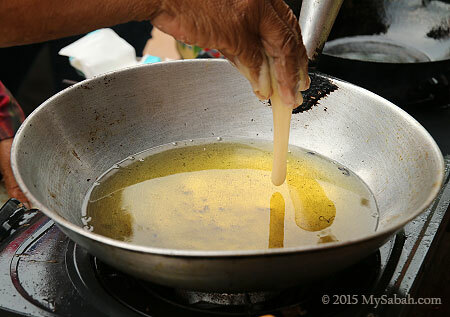 Next she held her fingers together with a small opening at the tip (like snake head) and positioned her hand over the hot oil. 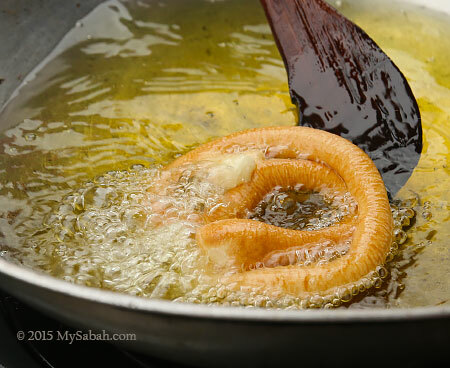 When the batter flowed out, she moved her hand as if she was drawing a horseshoe on the oil. It’s harder than it seems. 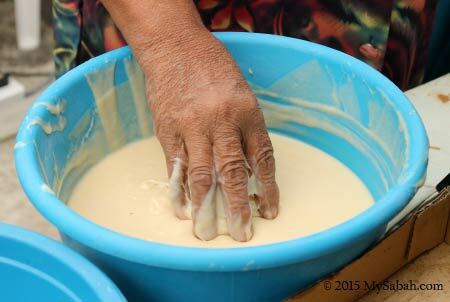 Beginners will get batter flowing out all over between the gaps of their fingers and unable to make the right shape. 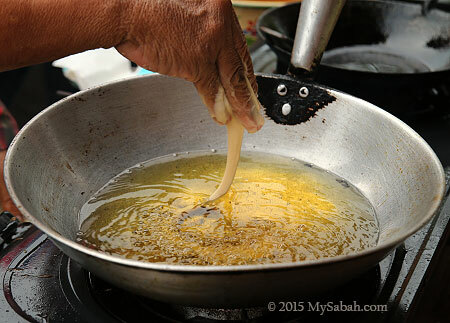 The last step is to deep-fry Koling-Koling front and back until it turns golden brown color. It takes about 20 seconds to make one Koling-Koling. The cooking process is really fun to watch. 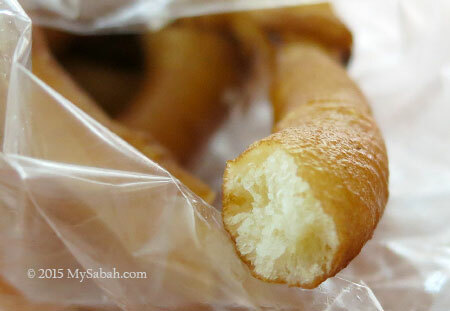 Four pieces of scrumptious Koling-Koling is only sold for RM1 (≈US$0.30). The bread has a slightly chewy skin but soft inside. 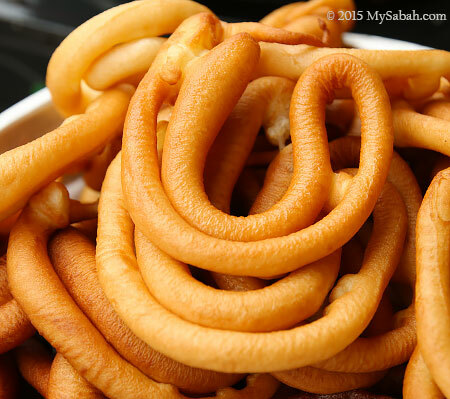 It’s sweet with bread-like texture, but finer and less airy. I like its nice aroma and it’s not too sweet and oily. There are about 42 indigenous groups in Sabah, and some have over 10 sub-ethnics so that’s an estimate of over 200 tribes, and each has their distinct costumes. 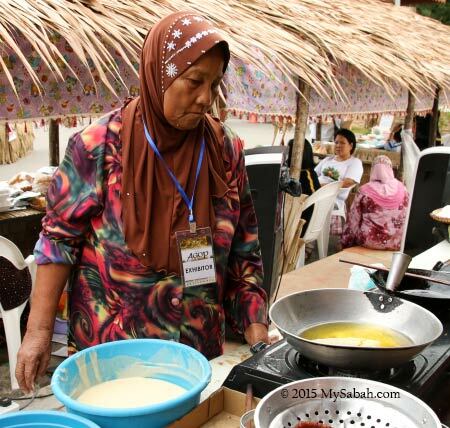 No wonder Sabah is known as a melting pot of different cultures. 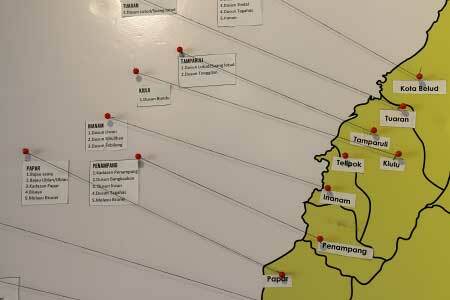 However, until today nobody can tell you exactly how many native tribes Sabah has. 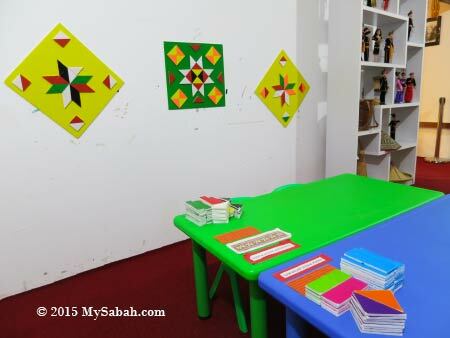 Many organizations say they are busy documenting the culture, but only Anne Antah is able to present us something in her Chanteek Borneo Gallery near Tamparuli town. 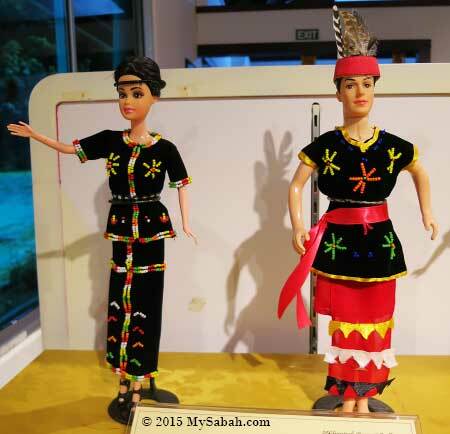 Currently, Chanteek Borneo Gallery exhibits about 300 dolls of 48 ethnic costumes and its collection is still growing. She started making these dolls in 2011 as a hobby, then the number of dolls is large enough for her to open this gallery in Aug 2014. Now it becomes a good spot to see different ethnic costumes in one place. 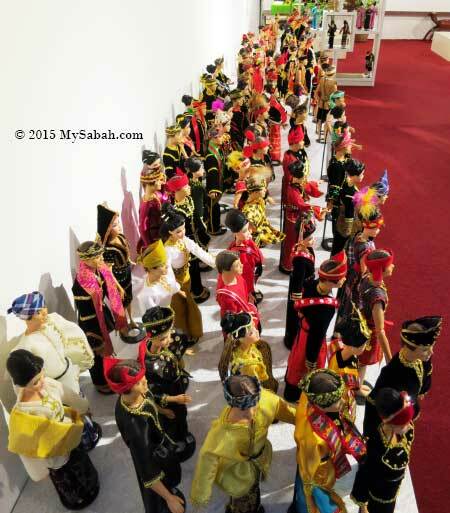 Pic: the number of Sabah tribes is able to fill up a hall if each group sends a representative. 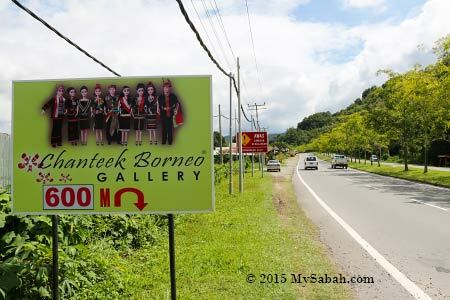 Chanteek means “Beautiful” in Malay language (Cantik in Sabah slang), indeed the beautiful cultures of Sabah have been a favorite subject of photographers. 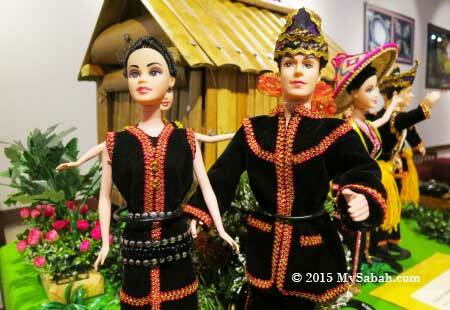 These 1-foot dolls are “serious toy” to show our heritage. 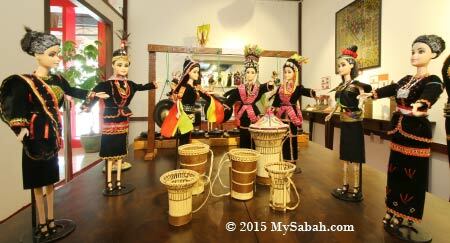 Visitors will be impressed by the “Lilliput” of Sabah tribes there. 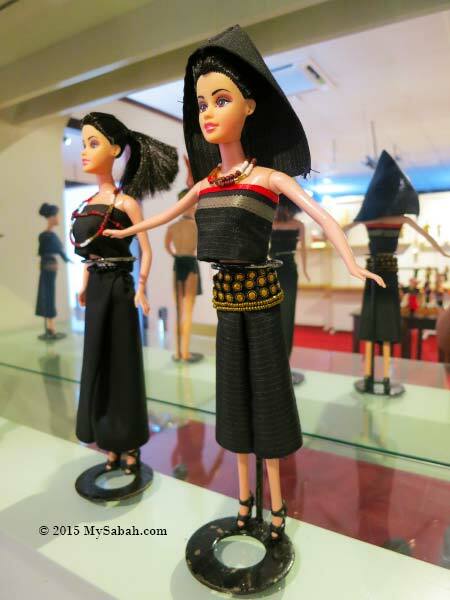 The gallery relies on limited information for making each doll. It’s a challenge to make authentic dress. Her research pays off and University of Zurich from Switzerland orders a whole set of dolls from her. Costume is our first identity to tell others who we are. Some traditional costumes also indicate whether a person is married, and in one case, how many wives a man has. It also shows the social status of a native, like the dresses of Kadazandusun high priest in photo above. 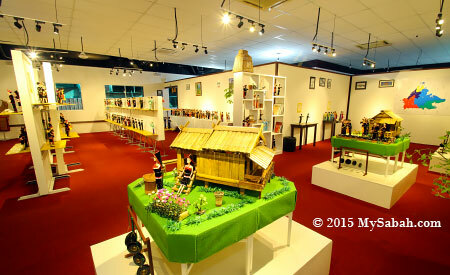 Besides ethnic costumes, the gallery also exhibits miniature handicraft, music instruments and traditional houses. They also display some life size items so visitors can look at the real things too. Some locals come to this gallery to look for their doll and root. 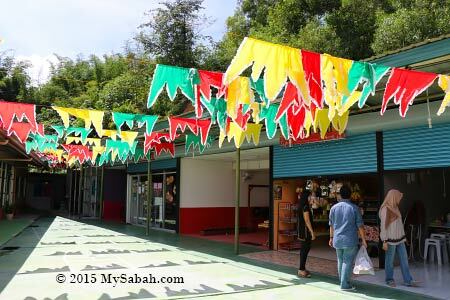 Most Sabahans can’t even name 10 Sabah tribes, so it’s great to learn something new there. 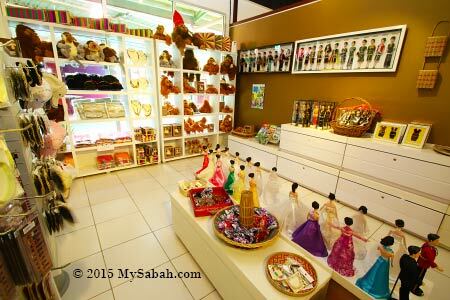 The “Big 3” indigenous groups of Sabah are Kadazan, Bajau and Murut, and of course you can find their dolls in the gallery. Kadazan is the largest indigenous group of Sabah. You may have seen them perform Sumazau dance in tourism advertisement of Malaysia. Bajau people are famous for their vibrant and colorful culture. Everything they wear and make are in bright colors. The Land Bajau in West Coast is known as Cowboys of the East due to their excellent horse riding skill. And Sea Bajau in East Coast is called Sea Gypsy, who spend most of their lives on the boat (now many have moved to land). 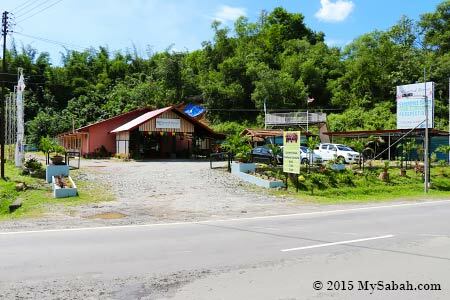 Murut means the People of the Hill. They are fearsome headhunter in the past. Making costume clothing for the doll is a labor-intensive job which requires skilled hands, good eyes and a great deal of patience. Some ethnic costumes are plain and easier to work with. 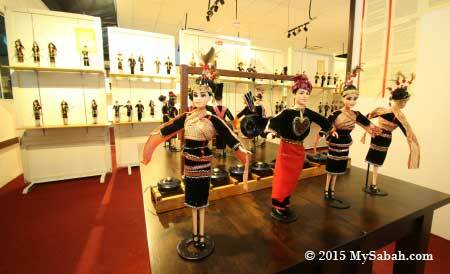 The most difficult one is traditional costume of Dusun Tindal, because of its complex embroidery, making it the most expensive doll too. 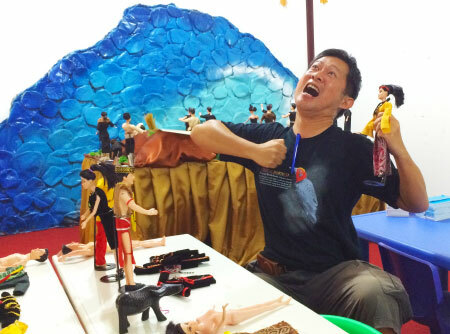 Pic: it’s a painstaking task to replicate the costumes in miniature scale. The gallery is air-conditioned and well-lit. It’s a comfortable place to browse. I had never seen so many dolls in a place. The dolls are labeled with tribe name. The information is written in both English and Malay languages. Their staffs are also more than happy to tell you more about each costume. There are some nice local painting in the gallery but they are not for sale. Normally visitors spend about 30 to 60 minutes in this gallery. 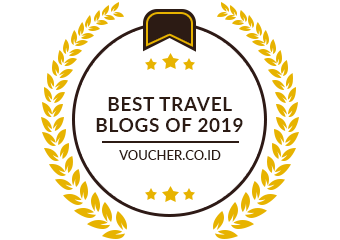 If you are keen to listen to interesting story and legend of different tribes, you can spend more time there. Just for fun. You may try to guess the ethnic of 6 toys below. You can find the answers near the end of this article. Don’t cheat. 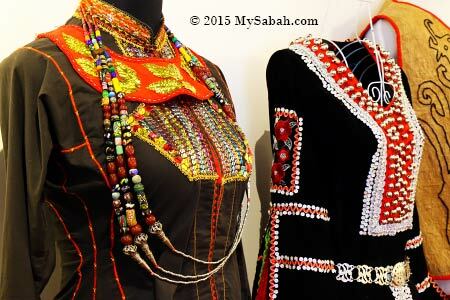 Pic: the dresses of ancestors of Sabah natives, look elegant too. 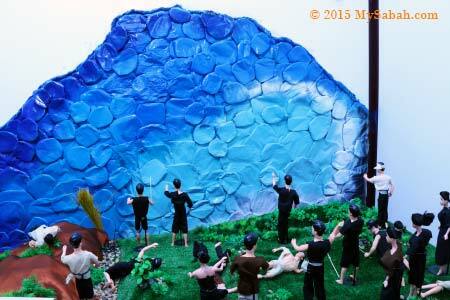 Pic: they also use dolls to show the scene of Gayo Nakan legend. Gayo Nakan is a giant who has huge appetite, with a tragic fate. Pic: the wedding corner. Same as other cultures, our people wear the best dresses for wedding. 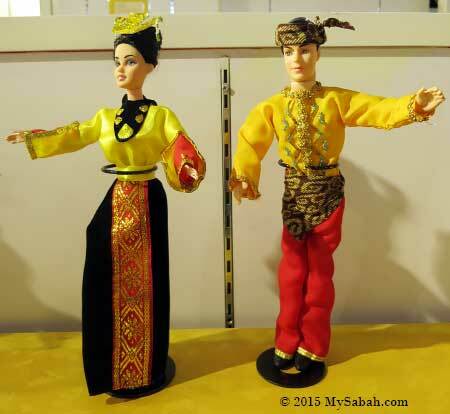 In Sabah, marriage between different races is very common, especially between Kadazan and Chinese. Their offspring is called Sino, with an estimated population of 50,000 today. Most believe the actual number of Sino is far more than this official number. Usually our natives don’t wear their costumes every day, you only see them in “full gear” during special occasions such as festivals, wedding and celebrations. 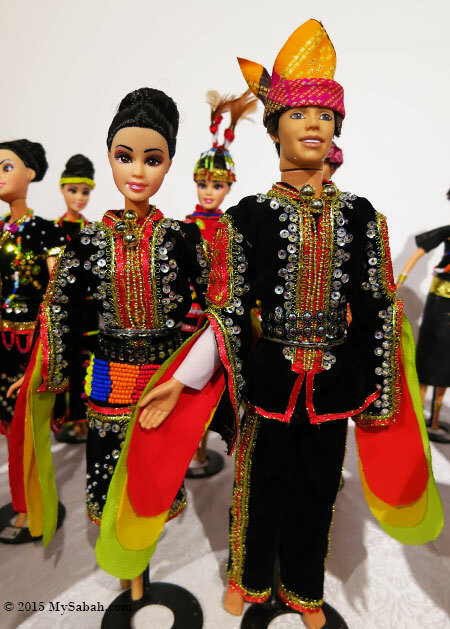 To see real people in traditional costumes, you may visit annual cultural festivals such as Kaamatan (Harvest Festival) of Kadazandusun, Regatta Lepa of Sea Bajau, Tamu Besar of Bajau and Kalimaran of Murut people. Yes, foreigners are very welcome to join these parties. Sabah people are very friendly no matter what races they are. 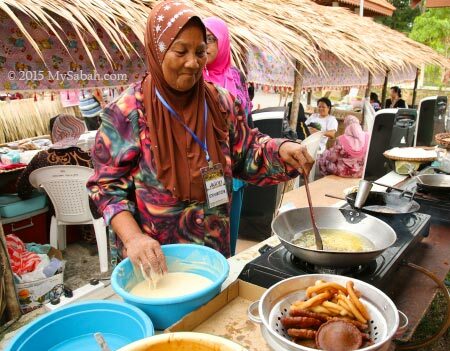 You may check out the event calendar of Sabah Tourism for the dates of these festivals. 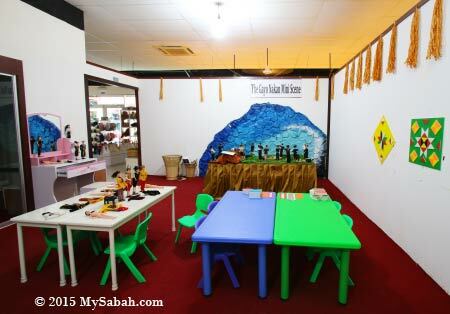 If you have children, you can bring them to the interactive corner next door to play with dolls. You know, kids aren’t happy just by looking. 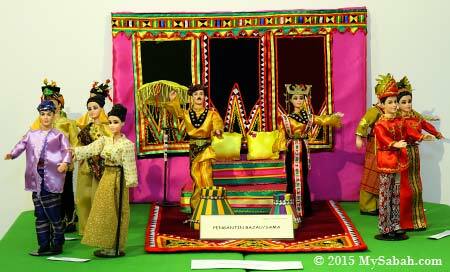 Pic: they also can use colored cardboard to make Simpangan, the motif of Bajau. Pic: King Kong and poor little Ann Darrow who screams all the time. 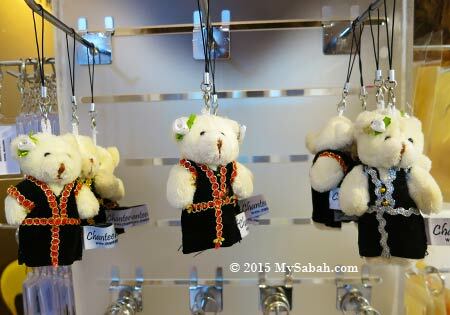 There is a souvenir shop in gallery where you can buy items such as handicraft, plush toys, dolls, bookmarks, keychains, beadwork (necklace, bracelet) and T-shirts. You can buy the dolls if you like them. 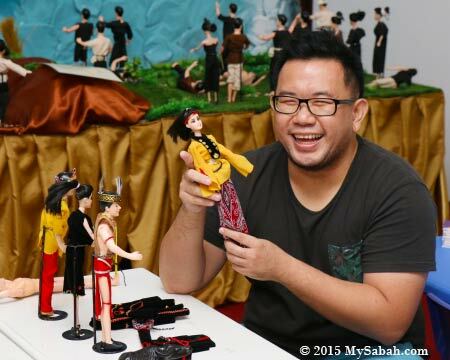 Pic: this doll display with a dozen native beauties is fabulous, it costs RM2,388 (≈US$668). 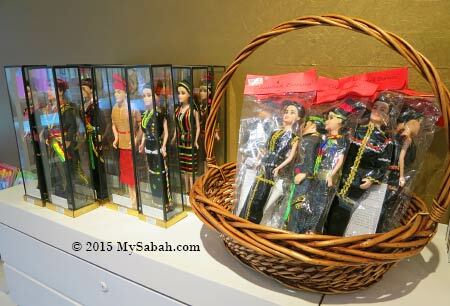 There are other dolls in couple or individual set with prices range from RM39.90 (≈US$11.20) to RM260 (≈US$73). 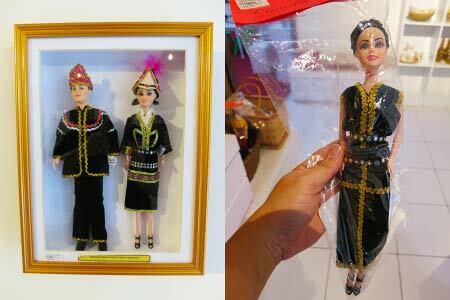 The best selling one is Kadazan doll. You can’t really value a heritage with money. You are buying a piece of art, not a toy that looks like bimbo. After the visit, you also can drop by the shops and cafe outside the gallery. FYI, the toilet is behind the gallery. Pic: D’Lakang Cafe, where you can order fried rice, noodle, drink, etc. You can have a good look of Mt. Kinabalu from the platform above. 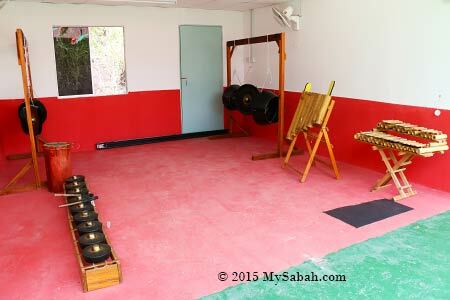 Pic: traditional music instruments of Sabah. You may try playing the gong, kulintangan and other bamboo music instruments. It’s free. 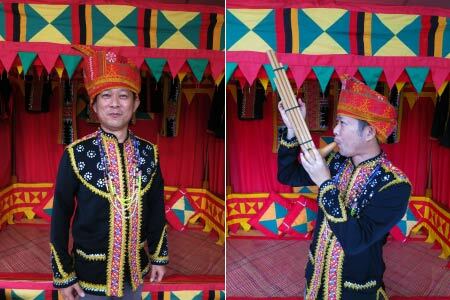 Pic: you can try wearing Dusun Lotud costume at the Libunan photo booth and get your photo taken, RM5 (≈US$1.40) only. The ticket fee to the gallery is RM10 and RM5 for Malaysian adult and child, RM15 (≈US$4.20) and RM10 (≈US$2.80) for foreigner adult and kid, respectively. 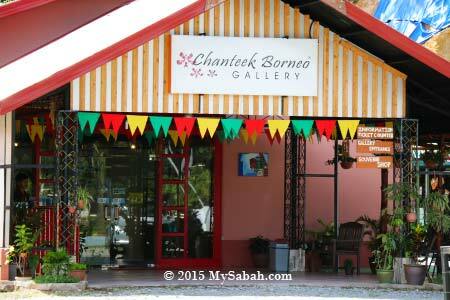 Chanteek Borneo Gallery is very accessible and only 30 KM from Kota Kinabalu City (KK). 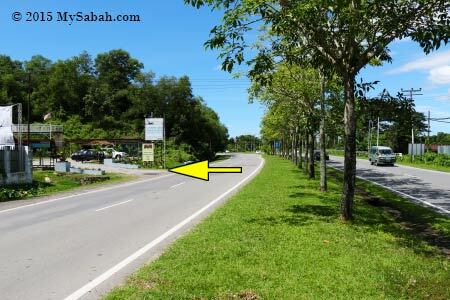 If you depart from KK and head to Tamparuli town, you will see it at the road side after 30 minutes of driving, about 7 KM before Tamparuli town. There are at least 3 road sign posts to guide you there. You may look at its Location Map. Pic: the entrance to the gallery. 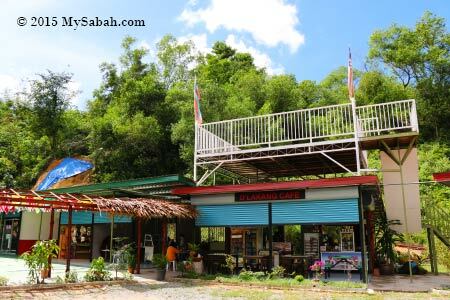 It’s just opposite to the old suspension bridge of Tamparuli. How many did you get it correct? Please don’t feel bad if you can’t answer. I only got four right though I have been photographing traditional costumes for some years.